You’ve had a great break, feeling refreshed after the Christmas fun and the whole family is probably in good health after all of the time outdoors in the sunshine. But school and germs are just around the corner, how can you keep the summer buzz going even after the school year starts? Start with their lunch box. Diet is key. 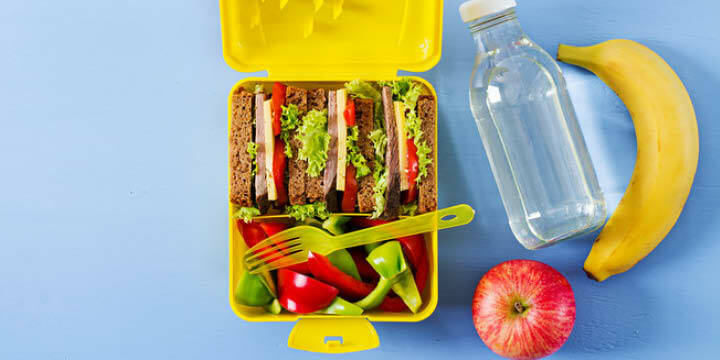 There’s no need to completely revamp everything, but a few simple changes in your kid’s lunch box will help. Want to give your kids a dose of vitamin C? Did you know that red capsicum has twice as much vitamin C as citrus fruit? Cut some up for an easy lunch box snack. Whole grain breads, pitas and wraps are rich in fibre, vitamin B and other nutrients, which will keep kids’ energy steady for hours. Berries (fresh or frozen), apples, kiwi, tomatoes, broccoli, lettuce, carrots, and avocados are also great for kiddie’s lunches. Packed with antioxidants, vitamins and minerals, these vibrant fruits and veggies are great for overall health, including immunity, growth and development. Add some lean lunch meats, grilled chicken or tofu, to their sandwich to help maintain energy, increase metabolism, and boost immunity. Don’t forget healthy, essential fats such as eggs and tuna. Omega-3 fatty acids are absolutely essential for kids’ overall health, plus it’s great for brain development and function.ust what they need to help them in the classroom. To further boost their immune system and prevent the sniffles (or worse), then it’s time for salt therapy of course! Salt therapy is great for kids. Salt is a natural antibacterial and anti-inflammatory. When inhaled deep into the respiratory system, the salt particles can help clear the airways and relieve congestion. When landing on the skin, the salt can help relieve dry, itchy and inflamed skin and accelerate skin rejuvenation. It can also help fend off bacteria and other viruses to keep your kids bug free. So you take care of their lunch box and we will take care of keeping cold and flu bugs at bay. Their immune systems will be fighting fit!